From the Old Testament to the New, God has never consistently blessed a people without first having a covenant with them. 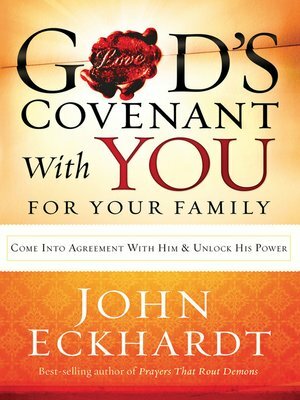 John Eckhardt's previous series on prayer has sold over half a million copies. In this new series that follows the same dynamic format, he shares his teaching on covenant and the blessings that accompany it. When we stay true to our covenant with God, we can be sure that no matter what storms come in life, it is God's everlasting covenant of peace that will bring us through victoriously and sustain us.